Fluorescent lighting waste contributes roughly 1,150 kilograms of mercury each year to Canadian landfills. In 2014 the Federal government put a partial ban on regular incandescent light bulbs. Most residents have replaced them with fluorescent lights, either tubes or compact bulbs, which provide the same light while using about one sixth of the energy and generally lasting 4-5 times longer. In Canada alone, fluorescent lighting waste contributes roughly 1,150 kilograms of mercury each year to Canadian landfills. 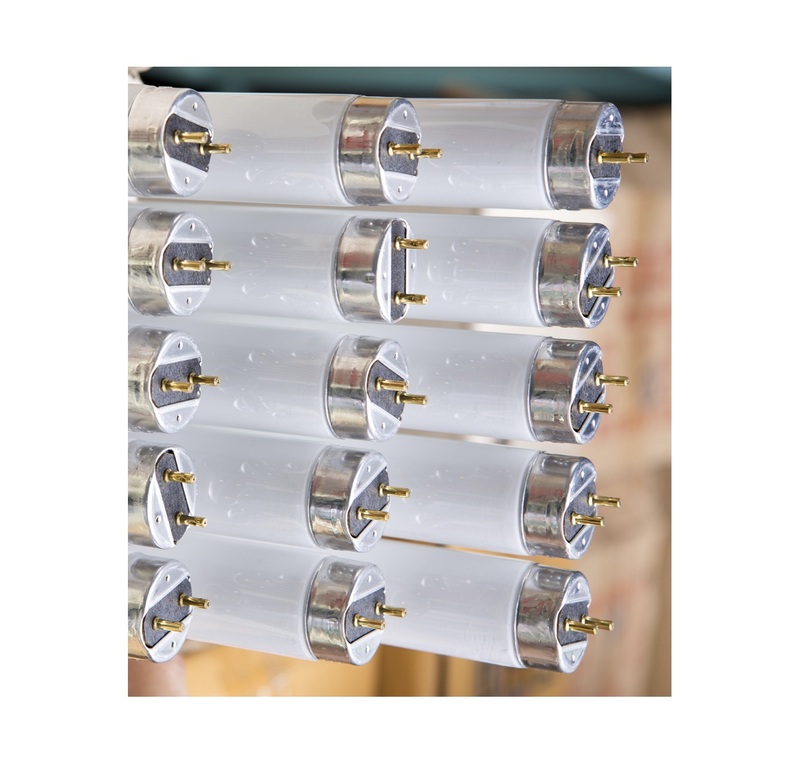 Fluorescent tubes use mercury vapour to produce light. Exposure to mercury can cause brain, nerve, kidney, and lung damage. One 4-foot fluorescent tube can contain 3 to 8mg of mercury vapour. The mercury is sealed inside the bulb, so it is only if the tube is broken that it becomes hazardous. One gram, 1,000mg of mercury is capable of contaminating the water in a 20-acre lake and render the fish in it unfit for eating. If you break a fluorescent tube it is best to leaving the room and ventilate it for 5-10 minutes. Then sweep up the broken glass and put it in a glass jar or a sealable plastic bag. It is best to avoid vacuuming broken bulbs because it can spread mercury vapor. The bulbs are broken under controlled conditions and the mercury is recovered, and process so it can be reused. The glass, plastic and metal materials are sent for recycling into new products. The glass is recycled into reflective beads for highway paint, used in sandblasting operations, or as a road base material. LED light bulbs are a mercury-free alternative that are extremely long-lasting and even more energy efficient than fluorescent bulbs. To react a point where we have removed mercury from being sent to our landfills.